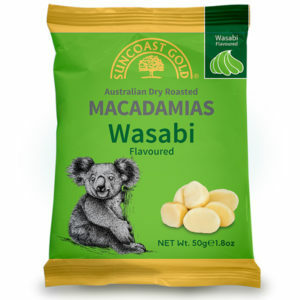 Suncoast Gold has a long reputation of sourcing premium macadamia nuts and creating delicious Australian made products for our health conscious consumers by offering products free of lactose, gluten and being vegan friendly. 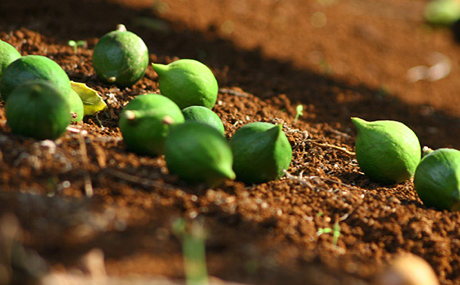 With the macadamia nut being indigenous to Australia we take pride in being an Australian brand and create a quality product which is farmed in a sustainable manner. We use premium nuts in all our products and carefully slow roast our macadamias several times to bring out their delicate bouquet of flavour. Suncoast Gold has extensive knowledge and experience in dry roasting and flavouring Australian macadamias. By offering a vast selection of flavoured macadamia nuts in different pack sizes, we present consumers a healthy snack for on the go or to share with family and friends. 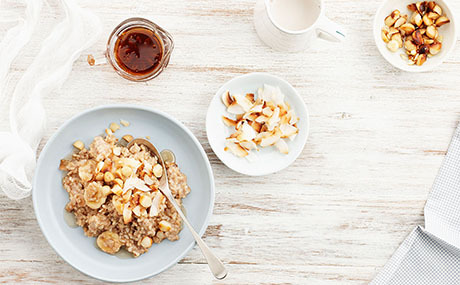 By extending the range with macadamia oil and a macadamia milk, Suncoast Gold keeps delivering innovative and unique products to the health food sector. 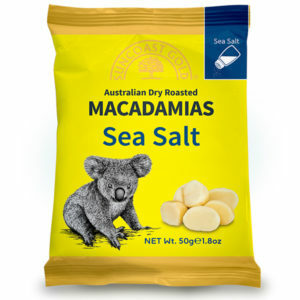 Carefully dry roasted and flavoured with Sea Salt, we take on a whole new approach to the flavouring of macadamia nuts. 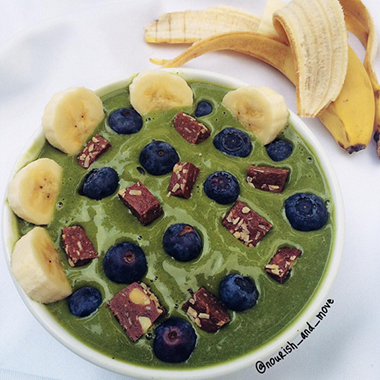 The 50g pack size is perfect as a healthy snack for 'on the go'. Comes in a snack pack. 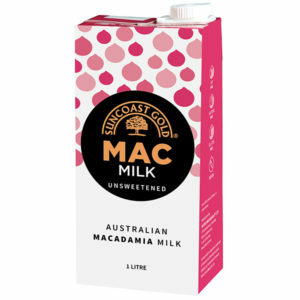 This deliciously smooth macadamia milk is made from the finest quality slow roasted Australian macadamias. 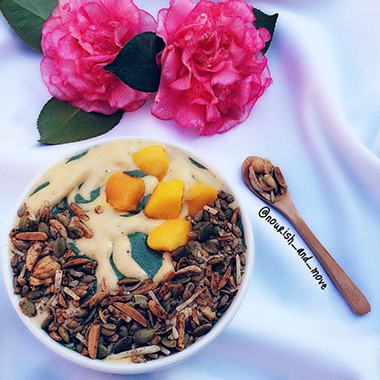 It's naturally lactose, cholesterol and gluten free. 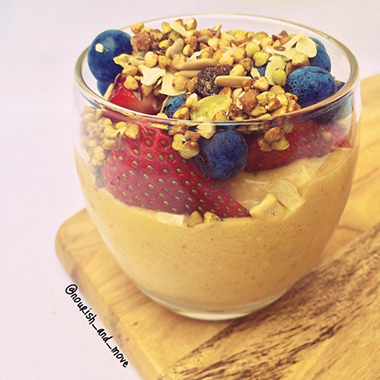 Perfect for smoothies, pouring over breakfast cereals or on it's own by the glass. Comes in a resealable Tetra Pack. 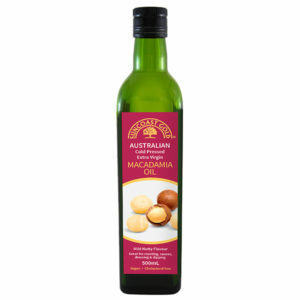 Suncoast Gold's Macadamia Oil is made using delicious Australian macadamia nuts sourced from native trees grown in the lush rainforest regions. With its high heat tolerance, macadamia oil is ideal for cooking and frying, but also delicious in baked goods due to its light nutty flavour. Comes in a glass bottle. Carefully dry roasted and flavoured with Wasabi, we take on a whole new approach to the flavouring of macadamia nuts. The 50g pack size is perfect as a healthy snack for 'on the go'. Comes in a snack pack.